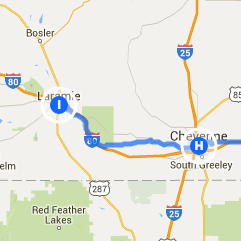 I spent the day in Laramie, visiting a slew of interesting people and one spiritual brother. My warmshowers hosts made an awesome breakfast of eggs and bacon plus pancakes with orange juice and coffee. Fueled for the day, I went to the Night Heron book store to meet my cousin Andy’s Antioch friend, Vicky, a thoughtful and inspiring kindergarten teacher who exemplifies the transplant’s love of Laramie that I find everywhere here. Afterward I met with Bright Agrotech, a local company with a cool vertical grow agriculture system. We didn’t meet at their headquarters. Rather we met downtown where their system provides truly local herbs for a restaurant – grown on the other side of the wall from where they’re served. Beside offering quick growing local food, Bright Agrotech is superfast with their media; our video interview is already up on YouTube. Then I was off to Crossfit 7720 to learn about this cutting edge fitness regimen. Why 7720? 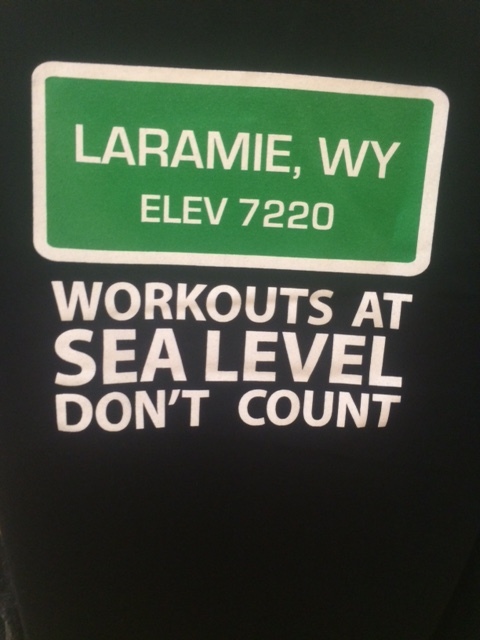 Because Laramie is 7220 feet above sea level. They invited me for a workout, which I did. Whoa, it’s a touch workout, especially at this altitude. During a break from heavy thunderstorms I set out alone to fulfill the primary reason I came to Laramie: to absorb local sites related to Matthew Shepard. I went by the bar where he met his killers, the memorial bench that University of Wyoming placed within the quad, and finally rode five miles outside of town to see where, almost twenty years ago, the young gay man was tied, beaten, and abandoned. 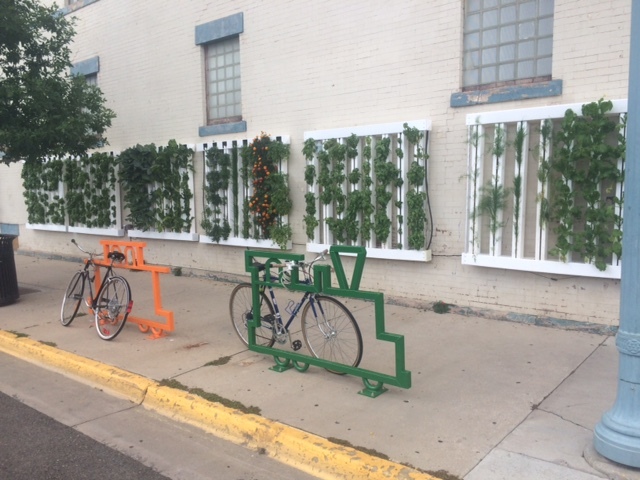 Aside from the innocuous bench, Laramie has done everything it can to wipe away this heinous crime. The bar’s had a face lift and fresh title, the streets names around the site have been changed, private property signs abound. Nothing about my 24 hours here gives any clue as to why such a hate crime happened in this seemingly benevolent place. Yet it did. And the horror of it changed things, for me and for many others. 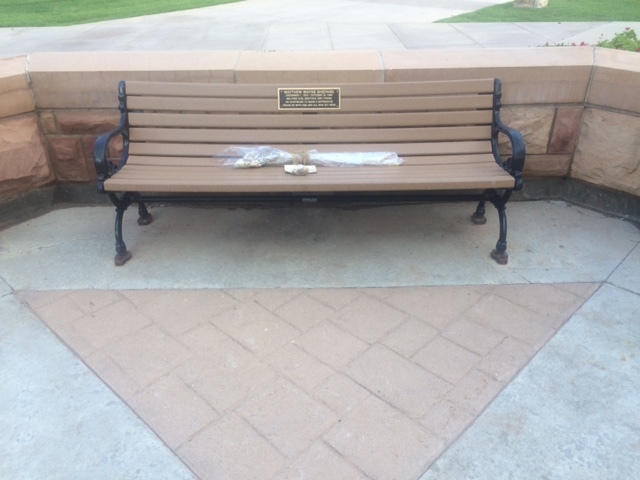 Aside from a few flowers on the bench, there is no proper way to pay tribute to Matthew Shepard, whose senseless death was so abhorrent it triggered an outpouring of human decency. Matthew will never get married in Wyoming, but he is part of the reason that others like him can. I wanted to thank him for what we have all gained through his suffering. Two deer came by and grazed close to me for several minutes. When they left I took it as my sign to leave as well. we cant wait to see you!!!!!!!!!!!!!!!!!!!!!!!!!!!!!!!!!!!!!!!!!!! You biked 59 miles over a mountain pass and then did a CrossFit workout?? Impressive!